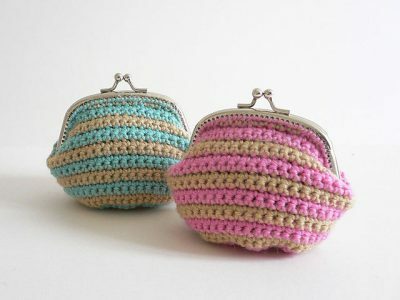 There is a photo-based tutorial on a Finnish crochet blog called [email protected] Koppa to make this cute crocheted pop top coin purse. Learn more about pop top crochet from my previous post on Brazilian pop top crochet. 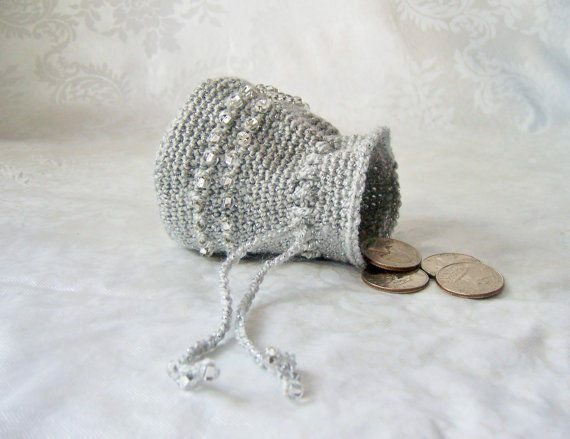 Most of the crochet coin purses that I like are built around a little purse frame. 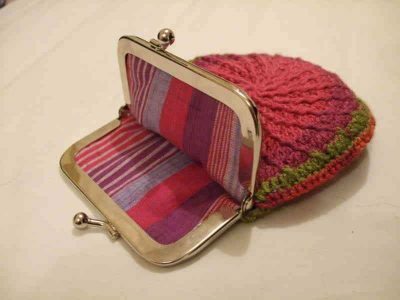 This example by TomatoTea shows that you don’t have to have a frame to have a cute purse, though. It’s fabric-lined and decorated with a cute button. 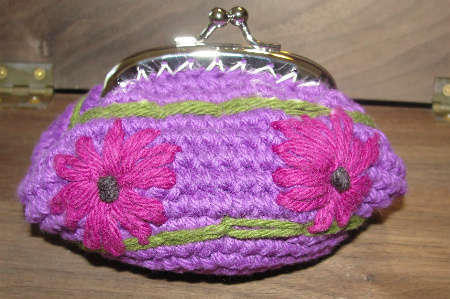 This is another example of a no-frame, fabric-lined crochet coin purse. There is a free tutorial for this rainbow circle design at SparklePetal. The crochet pattern for this striped coin purse is available through Ravelry. It’s also sold as a kit. 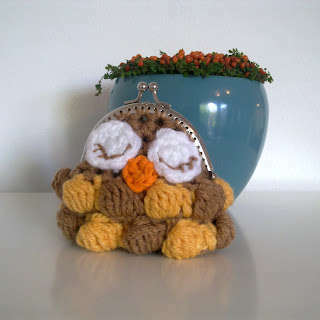 How can you not love this super cute owl crochet coin purse? And it’s offered as a free pattern download from A La Sascha. I spotted this one on Ravelry although the pattern is not available. 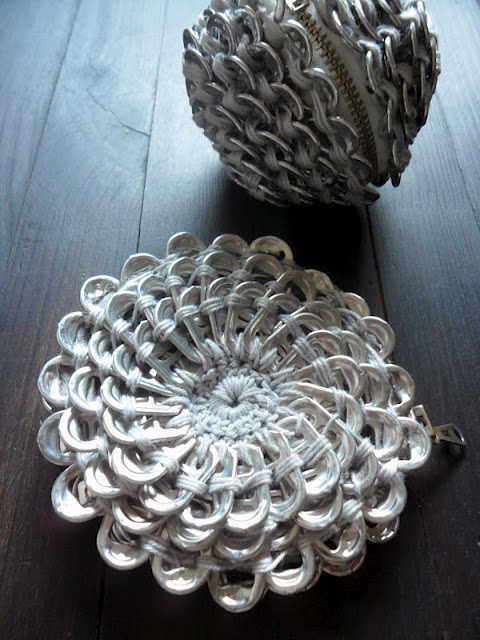 It’s designed by Naoko Shimodo and was crafted by Cosava. This crochet coin purse is fabric lined and on a frame. 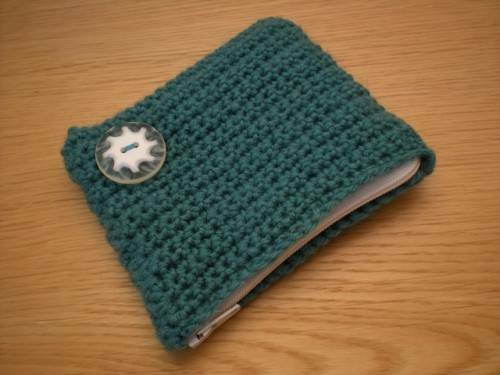 The free pattern is over on Token’s Hooky Love blog. 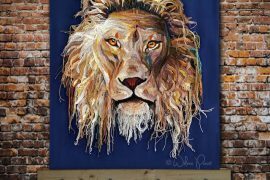 The pattern uses post stitches to get some great texture. 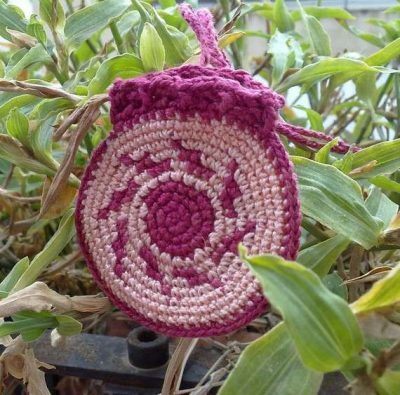 I love the little flower design on this crochet coin purse. The free pattern is available from Liberty Crochet. 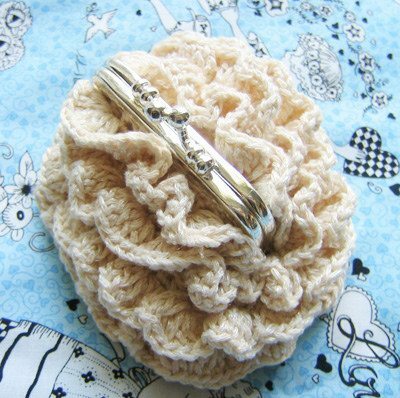 I love the design on this crochet coin purse by Etsy’s Craftelina, which is designed to be worn around the neck. 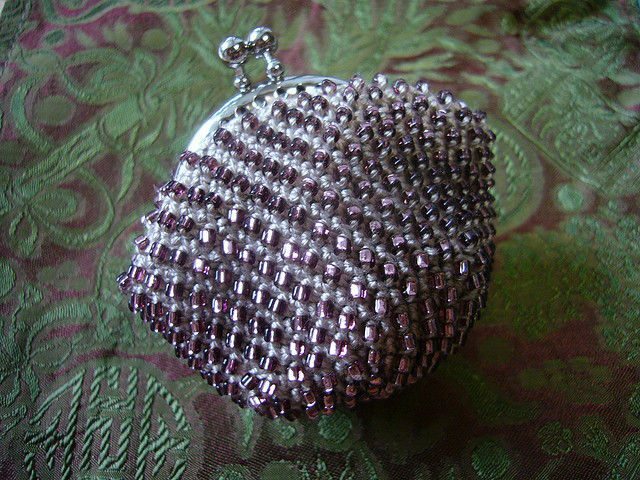 I am always a fan of the bobble stitch and it really works for this coin purse that’s combined with beads and a great heart-adorned purse frame. It’s by Etsy’s DesignedForGirls, a shop that also has several other crocheted coin purses. 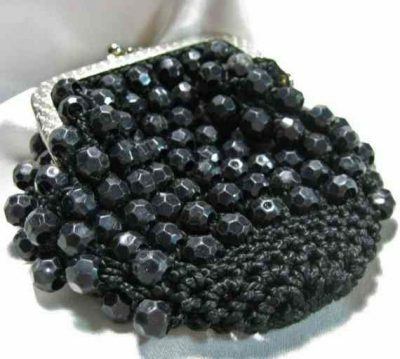 I adore the classy jeweled look of the big beads on this bead crochet coin purse by Etsy’s TheEclecticDiva. 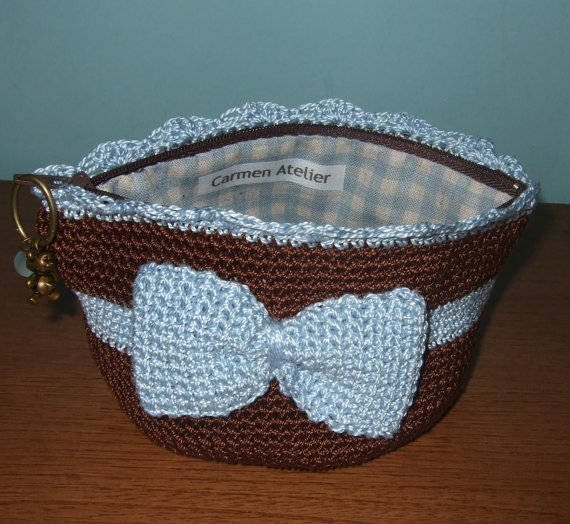 I’m a sucker for a cute crochet bow so of course I adore this coin purse by Etsy’s carmenatelier, which comes in blue, pink and green bows. 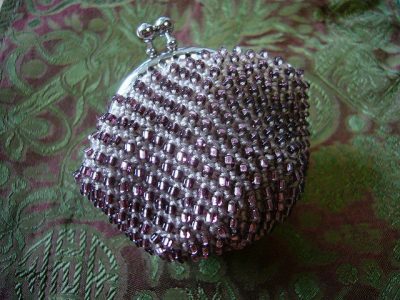 Do you carry a coin purse? 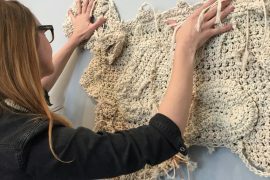 Is it crocheted? I love crocheting coin purses! They make lovely gifts too! hello, i cannot inserting zipper into crochet,can u pls dive me tutorial about it? How wonderful! 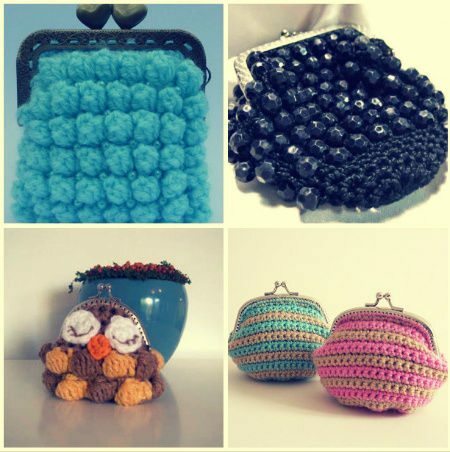 LOVE your blog and your contribution into the crochet crafts world. 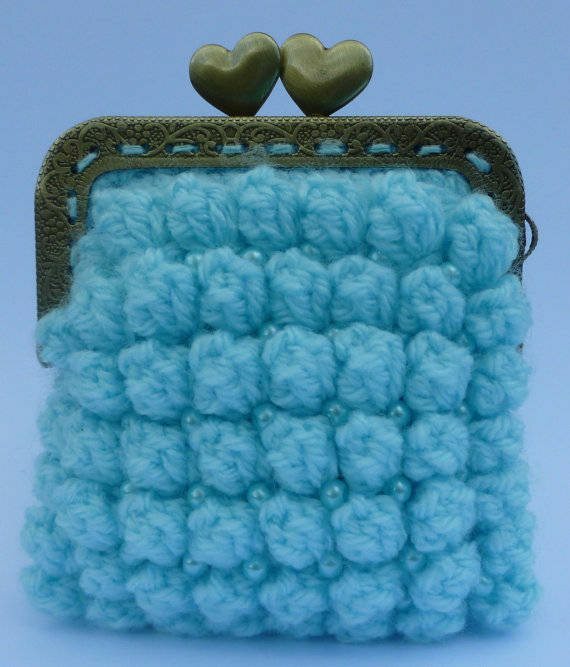 I deeply appreciate you showed my Little Crochet Holder Pouch here. A wonderful collection to be a part of!